Next Step China University Program offers Chinese language courses at top universities in Beijing and Shanghai with long and short-term courses throughout the spring, summer and fall. 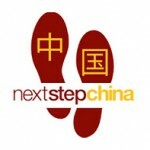 Next Step China was founded on the principle of providing high quality, affordable immersion programs in China. We are among the leading language immersion program companies which specializes in China. Our unequalled hands on experience and ability to understand your goals enable us to offer our clients the most suitable program to meet their specific requirements. Whether you want to study Chinese for one year or one month, Next Step China has a university program perfectly designed to meet your needs. Imagine arriving in China and being met by new local friends who can quickly orientate you to life in this exciting new country. Immerse yourself in the language daily - the fastest way to learn any new language. See it, speak it, and practice it in everyday life. Before you know it, with one of our highly successful programs, you will soon be thinking in Chinese too! A week in China studying with our Intensive Tutoring Program ‘in situ’ is the equivalent to many months of learning theory elsewhere. Tune in to local chatter, read the signs in local shops, and hear the dialect. Your brain is subconsciously learning 24/7 when you study in China with one of our residential courses. Student programs are offered at BLCU, Tsinghua University, Peking University, Beijing Global Village School, Shanghai Jiao Tong University and an intensive tutoring program in both Beijing and Shanghai.